Wearin' the green in all aspects! 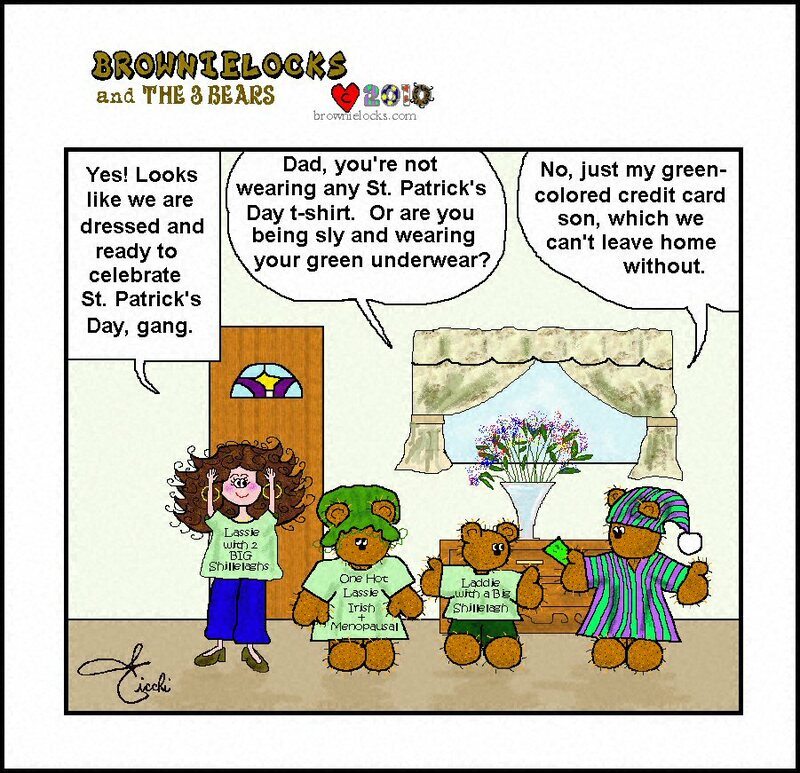 Do you like our St. Patrick's Day T-shirts? Well, you can buy them in the Brownielock's Store. Brownielock's T-shirt: " Lassie with Two Big Shillelaghs"
MaMa Bear's T-shirt: "One Hot Lassie Irish + Menopausal"
Billy's T-shirt: "Laddie With A Big Shillelagh"